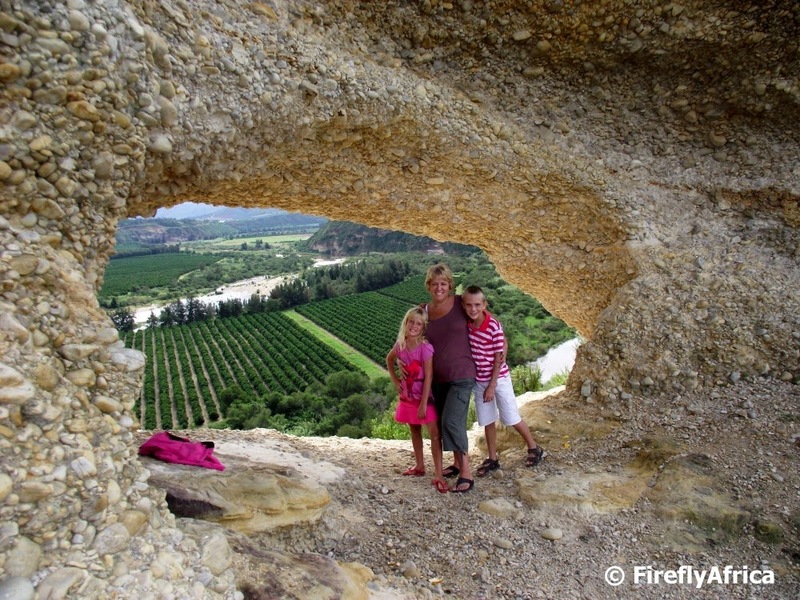 Every time I visit the Gamtoos Valley and drive through Hankey, I look up the cliffs on the western side of the town at the Bergvenster (Berg Window) thinking that I must really make a plan to climb up there one day. That opportunity came when we spent a Shot Left weekend in Hankey staying at the The Milk House. I told the Damselfly that I'm heading up there come hell or high water. She asked why and the answer was twofold. Firstly because I've never been up there and secondly because there was a Geocache I wanted to find. 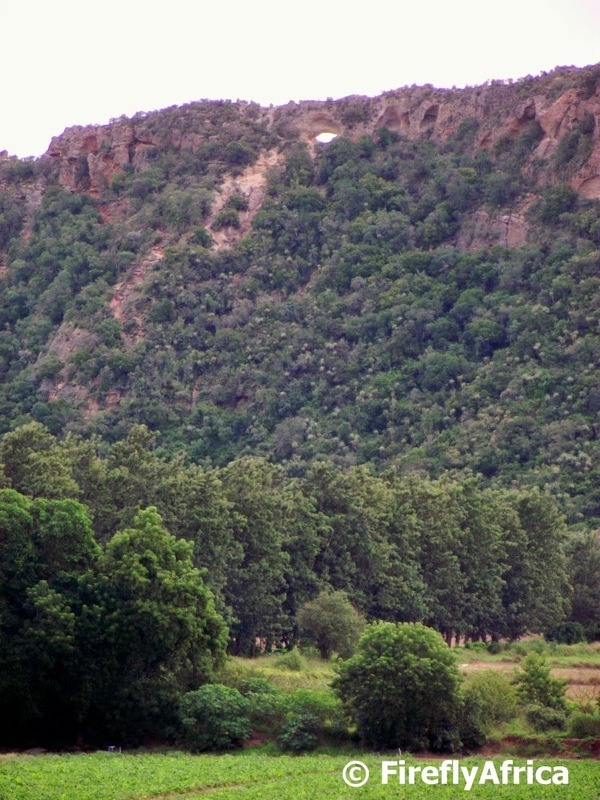 The Bergvenster is a natural arch that has been created by weathering of the Enon Conglomerate in the area. Problem is that there isn't quite a highway or even a proper set of steps going up there. We parked at the Phillips Tunnel and headed up the path nearby that leads to the top. The path is rough to say the least and washed away in some areas which meant somewhere along the way we ventured off it without even realizing. Our chosen "path" did take us to the top though and we only had to backtrack a short distance along the ridge to get to the window. The return trip was a little more successful in following the path although it did take a lot more hopping and sliding that our original one had us do. Huffing and puffing to the top of anything always makes you hope it would be worth it and this surely was. WOW, what a view! The second photo in the post is looking through the window towards Patensie in a westerly direction while the second one has the family looking east towards Hankey. This last photo is a panorama from inside the window towards Patensie with the Gamtoos River in the foreground, citrus orchards in the middle and the Cockscomb Mountains way off in the distance. Would I go up there again? Perhaps not soon as you need an hour or two for the return trip, but I would highly recommend somebody making the trek up there to enjoy the view if they are able to. The East London beachfront has a very interesting looking statue which had me scratching my head when I saw it for the first time. Multicultural Man is a bronze sculpture created by Italian artist Francesco Perilli. 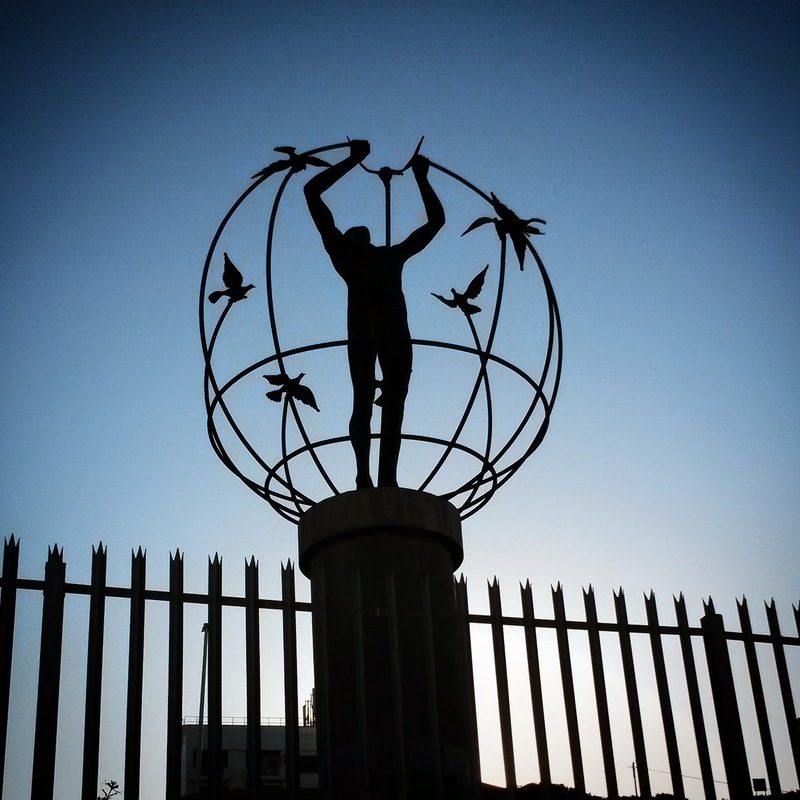 It depicts a faceless man in the middle of the earth who is trying to unite two meridians, while the other meridians are lifted by doves, the universal symbols of peace. The bronze man himself is three meters high and has been designed to represent no particular cultural, ethnic or religious background. There are five Multicultural Man bronze sculptures located on five different continents of the world. I had to make the 600 kilometer return trip from Port Elizabeth to East London twice this past week. Luckily for me I enjoy road trips for various reasons and other than my back complaining I really didn't mind going. Returning from the second trip it started to get late and the sun started to set as I was about 30 minutes east of Port Alfred on the R72. A quick sunset photo with my phone and I was on the move again to get home before it got too late. When people talk about the Eastern Cape, Wild Coast and Transkei then the road are always one of the first things mentioned. "The road is bad." "The road is full of potholes." "The road this", "the road that" and "the road whatever". I've never been further than just past East London and got to fly to Durban every time I had to go to Indaba. The only time I drove to KwaZulu Natal I went via the Eastern Free State to avoid "this terrible road". 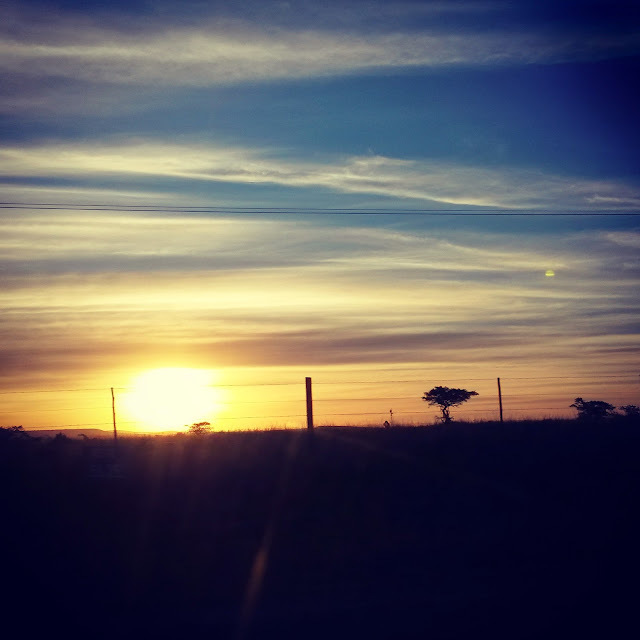 That was until May this year when I had to drive to Durban for the annual Tourism Indaba and decided to have a look at what the Transkei really looks like. What an absolute surprise. 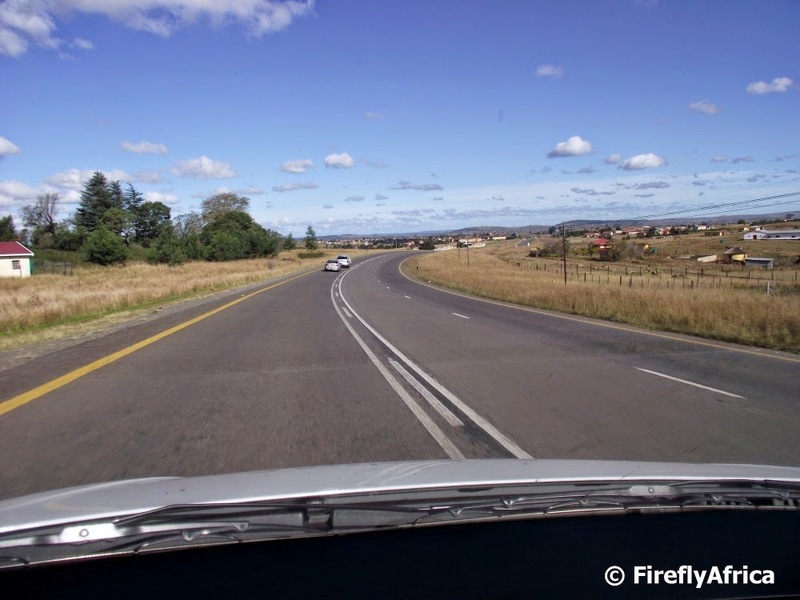 The N2 main road through the Transkei isn't anything like what everybody have always said it was. Makes me wonder how many of those people have been on it lately. Yes the taxi's often drive just like they want, but they do it everywhere else as well. Animals stray onto the road , its the Transkei after all. But if you don't drive like an idiot then you can easily avoid them. Umthata gets hectic with its speed bumps and peak hour traffic on a Friday afternoon. Sit back and enjoy the song playing on the radio. You can speed along shortly again. The dirt roads and some secondary tar roads are in a bad condition, but the main road through the Transkei is anything but bad. 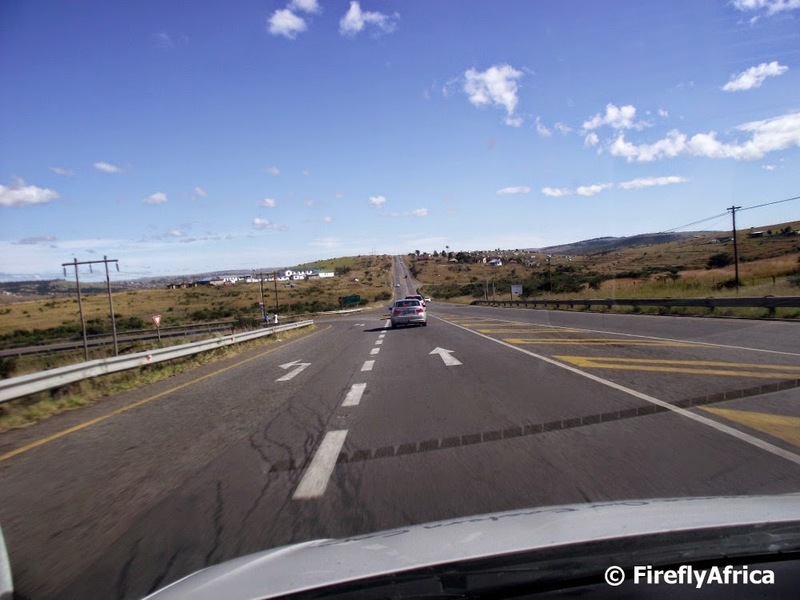 Big sections of the road have been fixed or totally overhauled with road works still taking place further north, but otherwise the road is in an excellent condition and well worth driving with its typical Transkei landscapes and scenes. So next time you have to go from KZN towards the Port Elizabeth and Garden Route area (or vica versa), give the N2 through the Transkei a chance. You won't be sorry. Bartholomew Dias was the first European to discover South Africa. On an expedition looking for a sea way to the East he sailed around the Cape in a storm without knowing it. On 3 February 1488 he landed in Mossel Bay which he called the Bay of Saint Blaise. On 12 March they reached the furthest point of the expedition when he anchored at Kwaaihoek near the Bushmans River mouth. It was here that Dias planted a stone cross (padrao) before being forced to turn around when his crew refused to go any further. It was only on the return journey that Dias discovered the Cape of Good Hope. Dias originally named the Cape of Good Hope the "Cape of Storms". It was later renamed the Cape of Good Hope by King John II of Portugal because it represented the opening of a route to the east. The discovery of the passage around the south of Africa was significant because Europeans realized for the first time that they could trade directly with India and the other parts of Asia, bypassing the overland route through the Middle East with its expensive middlemen. Dias later joined an expedition that reached the coast of Brazil in 1500 and from there continued eastwards to India. The four ships hit a huge storm off the Cape of Good Hope which meant Dias perished near the same place he called the Cape of Storms. 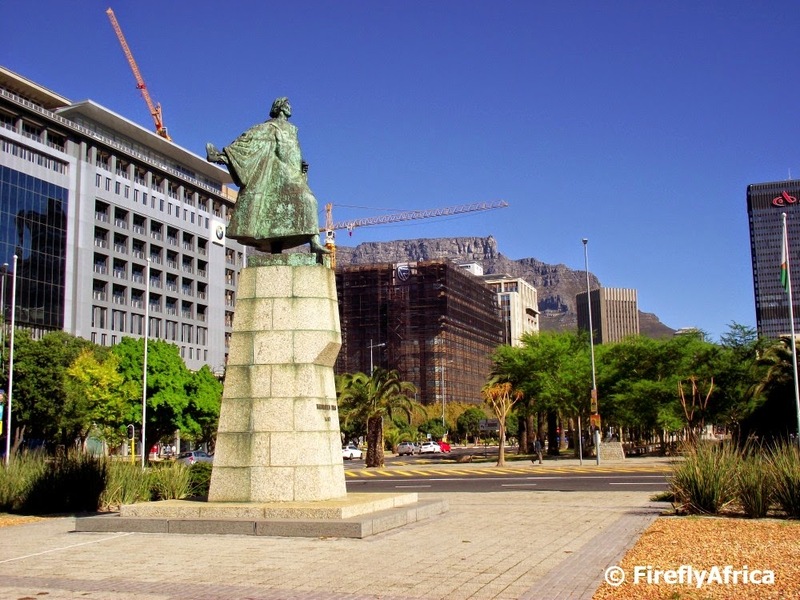 The statue of Dias on Adderley Street in Cape Town was unveiled in 1960. 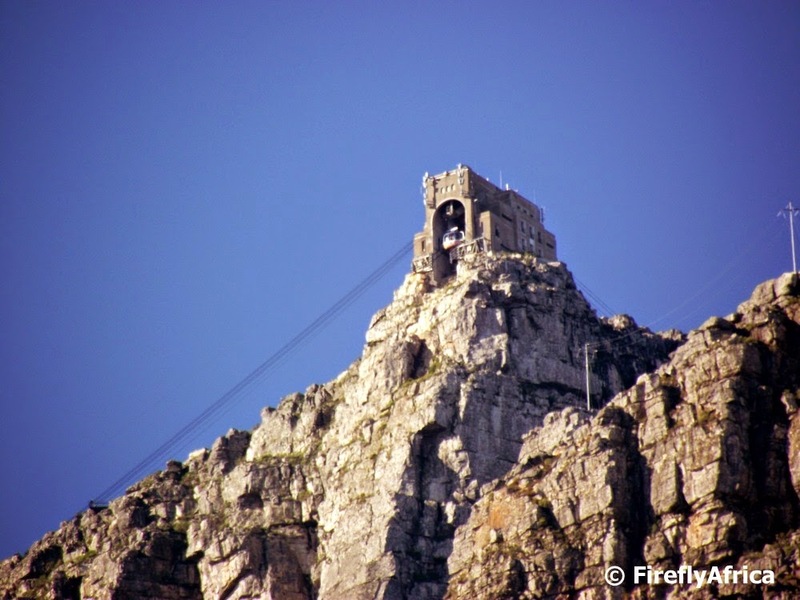 The first sighting of the Cape, False Bay and Table Mountain one gets approaching from the east is from the top of Sir Lowry's Pass on top of the Hottentots Holland Mountains. The view sight is situated at the top of the pass and about 920 meters above sea level. 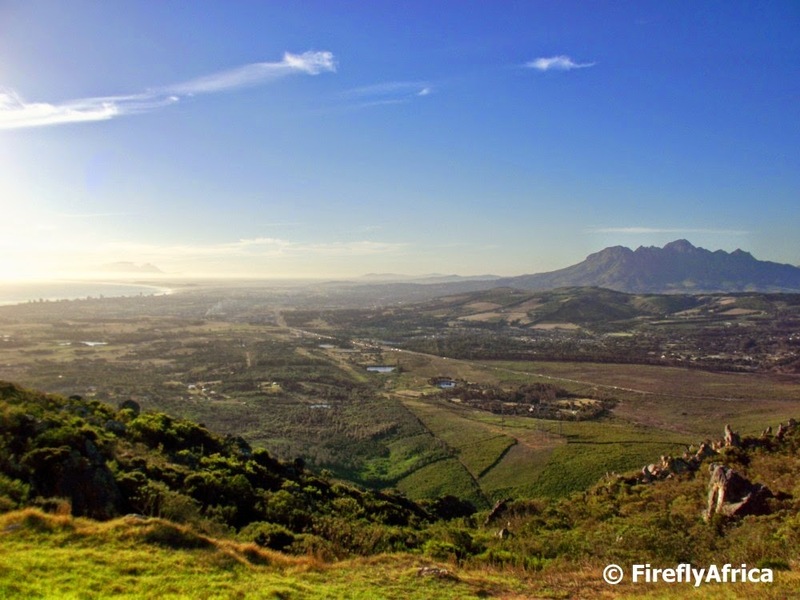 The view site gives a beautiful panorama from Gordon's Bay and Strand on the shore of False Bay on the left towards Somerset West and the Helderberg on the right. In the distance Cape Town and Table Mountain is visible. The mountain crossing in this region was known by the indigenous Khoi people as the Gantouw or Eland's Pass and was used as a stock route. The Dutch and British settlers at the Cape built a rough pass called the Hottentots Holland Kloof Pass following the Gantouw route. The first recorded crossing was in 1664 and by 1821 the pass saw about 4500 ox-wagons per year crossing into the interior. The route was unfortunately so severe that more than 20% of these were damaged. The ruts left by these wagons being dragged over the mountains can still be seen and was declared a National Monument in 1958. Construction on a new pass, about 2 km to the south of the Hottentots Holland Kloof, was started in 1828 by the engineer Charles Michell using convict labour. The new pass was opened in 1830 and named after Lowry Cole, the Governor of the Cape Colony at the time. In the 1930s the pass was widened and tarred with further improvements done in the 1950s and 1980's to get it to what it is in today. Something a long way from the rough two track route over the mountain. 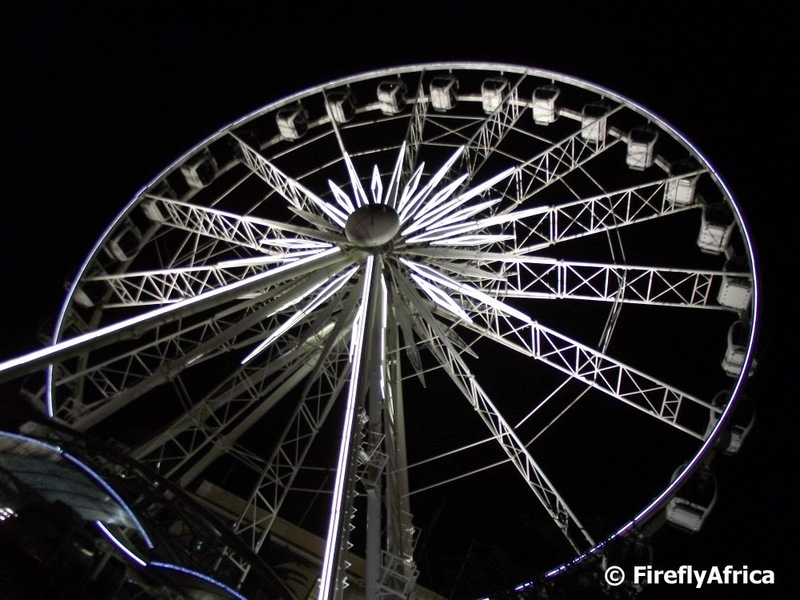 The Wheel of Excellence (or just Waterfront Big Wheel as most people refer to it) at the V&A Waterfront has become a favorite activity for visitors in Cape Town to do. The surrounding view of the Waterfront and city from the top is stunning. 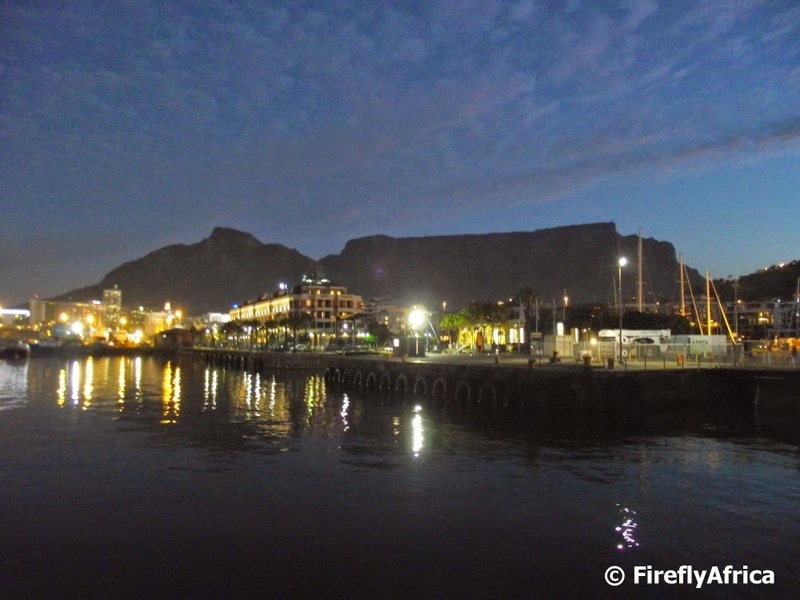 My last visit to Cape Town was a brief one and there wasn't time for a trip, but I did snap this pic of it on a walk through the Waterfront before heading to dinner. Port St Johns. Scenic. Cultural. Rustic. Authentic. Rich experiences. Unspoiled beaches, Rugged coastline. Natural beauty. 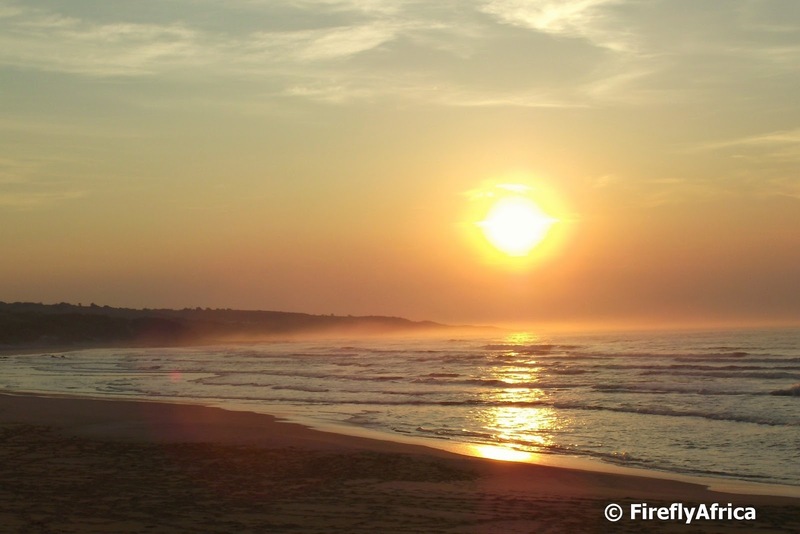 The backpackers' party town of the Wild Coast. Port St Johns at the mouth of the Mzimvubu River really is an iconic town and covers all of that and more. Looking at the picture of Second Beach you could easily mistake it for a tropical island somewhere. One word of warning though. If you want to swim at Second Beach, don't go too deep into the water. 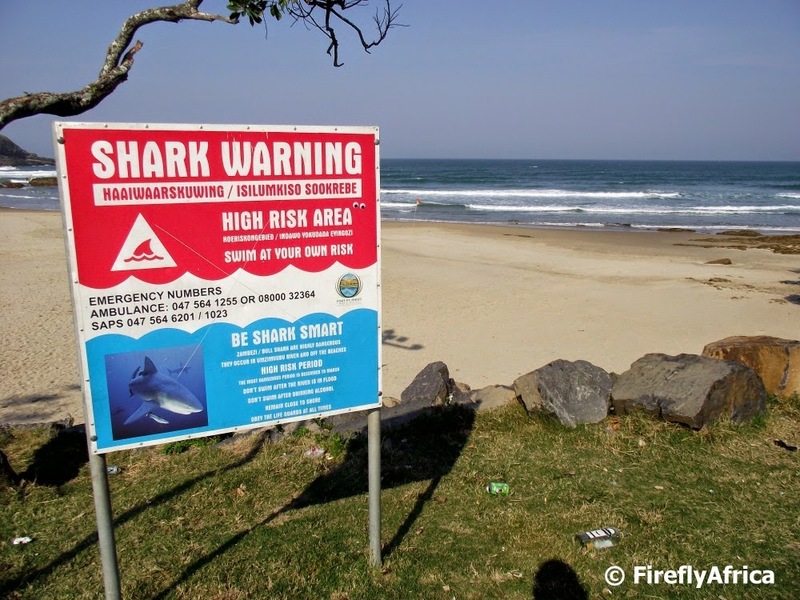 The beach has recently been named one of the most dangerous beaches in the world after the eighth person in 5 years lost their life in a shark attack here. Zambezi and Bull Sharks are found along the coast and in the Mzimvubu River and is especially active if the river has been in flood so rather stick close to shore and obey the life guards at all times.. 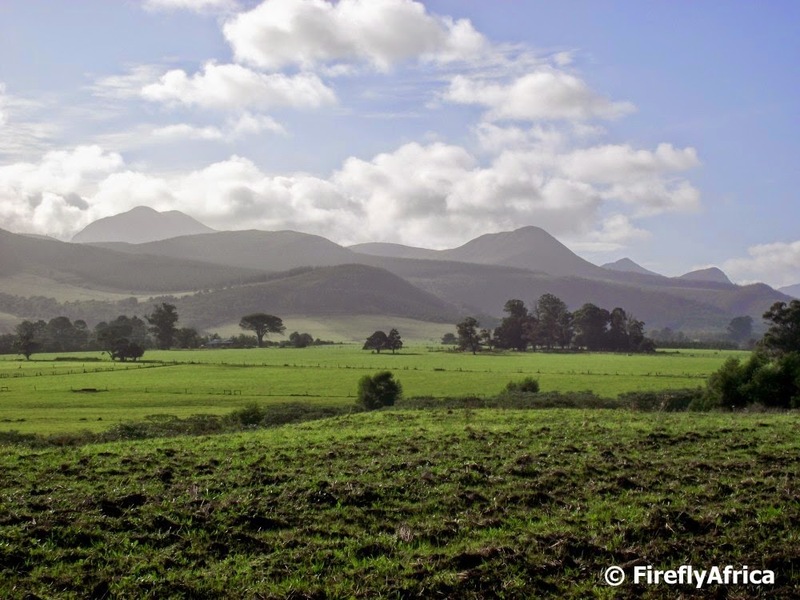 The Gamtoos Valley west of Port Elizabeth is often just seen as the entrance to the Baviaanskloof yet its a tranquil and very scenic farming area. I visit the valley a couple of times a year to participate in the annual Gamtoos Tourism Adventure Drive, the Citrus festival and the Patensie Boere Basaar. This also means that I spend a lot of time in the Patensie area so when Carol Pearson of The Milk House contacted me to invite us for a Shot Left weekend in Hankey I jumped at the opportunity. Hankey is the oldest town in the Gamtoos Valley and was established in 1826 by the London Missionary Society. The town has one of the best 9 hole golf courses in the Eastern Cape and it's attractions include the grave of Saartjie Baartman, the Phillips Tunnel (the oldest irrigation tunnel in South Africa) and the Bergvenster (berg window). The Milk House has two components to it. 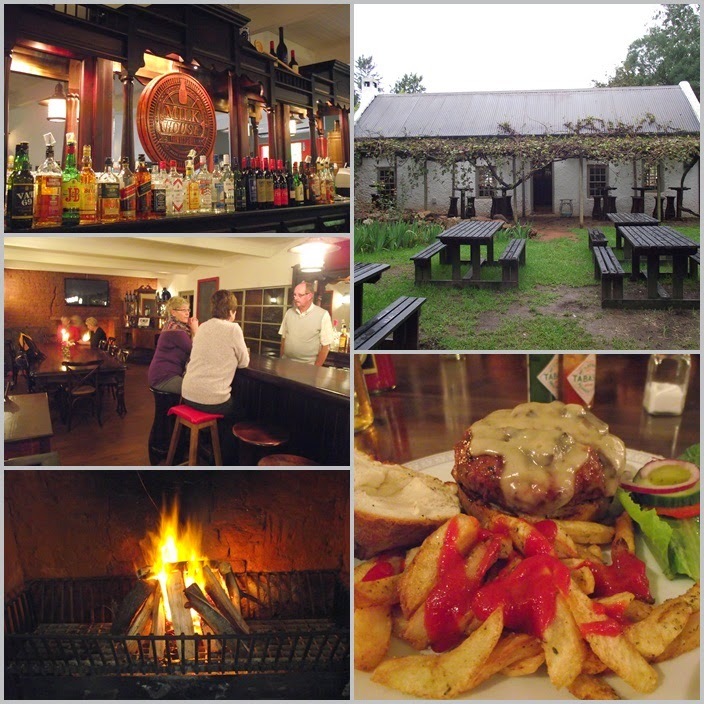 Firstly there is the Farmstyle Bar and then there is the accommodation in the old farmhouse. The Farmstyle Bar started out as a bar and restaurant that was open every day except for Mondays, but a huge demand for function venues has led to them making a decision to use the venue for functions, corporate events, private dining and social gatherings exclusively. This hasn't stopped the regulars from still stopping by and popping in for a drink and a chat. The Farmstyle Bar is also open to patrons staying over at the Milk House's accommodation for dinners and drinks. 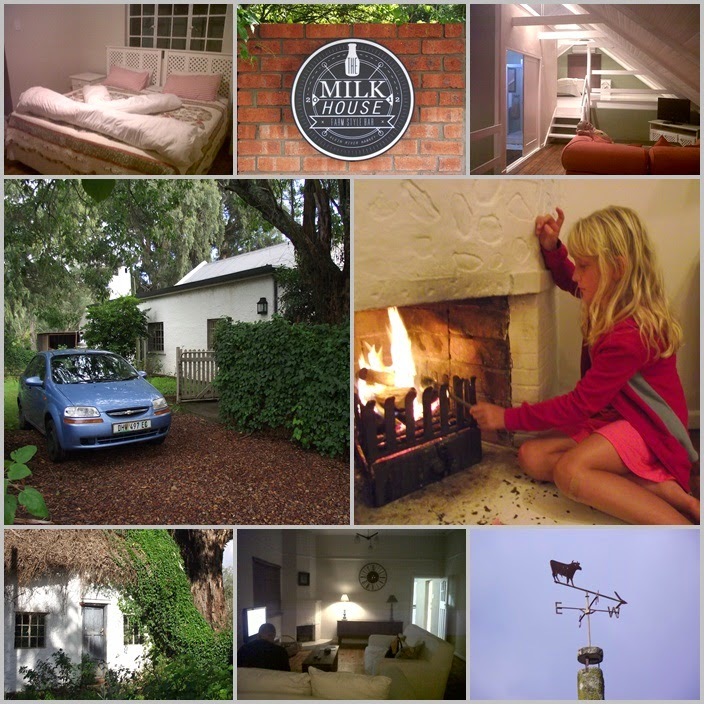 We choose a cold and wet weekend to visit Hankey and spent the first evening cozy by the fireplace with a couple of drinks while the KidZ were playing games. They don't have an elaborate menu and that is the beauty of it. Food made with care. We all opted for the home made burgers and hand cut chips while a couple of other visitors tucked into calamari and fish. The thick home made patty was perfectly cooked and smothered with a mushroom sauce while hand cut chips beats shop chips hands down any day. The thing that The Milk House is best know for is their Boozy Milkshakes. "What is a boozy milkshake?" you ask. Well, its a milkshake with a little something added to it. Good even on a cold evening. I wasn't sure what to expect from the accommodation before hand but was pleasantly surprised when we arrived. 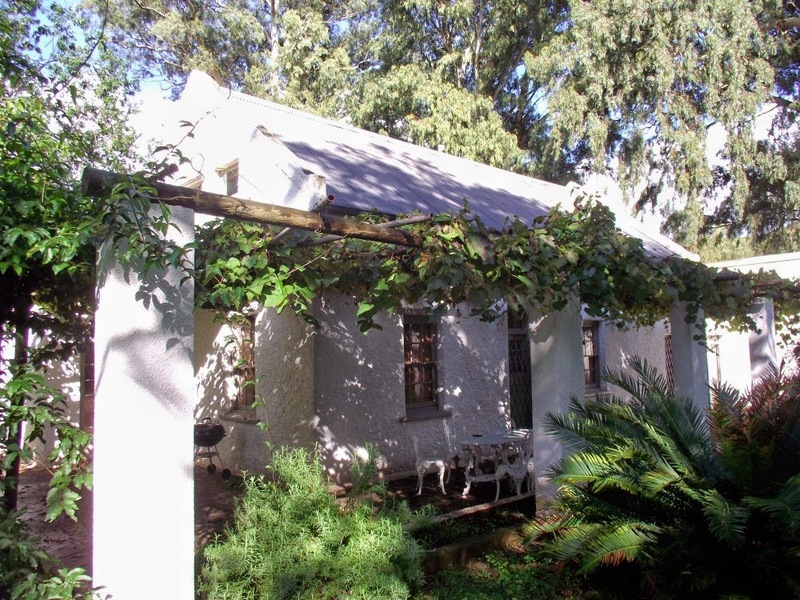 The old farmhouse has been totally renovated and fitted out with everything you need. It's kitted out for self catering and sleeps at least 10 people with four bedrooms and three bathrooms, a kitchen, lounge and dining room. The second evening we had a braai under the verandah and spent the evening under a blanket in the lounge with the fireplace (which had a good supply of dry wood available) going. Chaos Boy brought his Play Station along and kept himself busy while Drama Princess was "cooking" marshmallows over the fire and nagging us because her brother didn't want to give her a turn. The next morning the sun was out and I went for a walk around the farm, checking out the citrus orchards and the old farm buildings, contemplating climbing up the ladder of the old silo but chickening out before I did one step. The accommodation can be booked by individuals but is ideal for families or groups of friends for a weekend's getaway or stay over before or after one of the many events that often takes place in the Gamtoos Valley. I have to be honest that The Milk House was the last thing I expected in Hankey and spending the weekend not only introduced me to this wonderful place but also opened my eyes to what there is to see and do around Hankey as well. Disclosure: We stayed at The Milk House Guesthouse and had dinner in the Farmstyle Bar as guests of The Milk House Farmstyle Bar. Our travel and other expenses where for our own account. Have you ever picked up how some people can go through life without noticing the little things? Often this is the same story when you take a group of people on a hiking trail. Some people would just do the walk to be out in the fresh air, some would enjoy beautiful views and scenic attractions and usually a small percentage would notice the details. A succulent with a tiny little flower, a buck spoor in the soft sand, a butterfly fluttering by or wild berries on a bush like the ones in the picture. 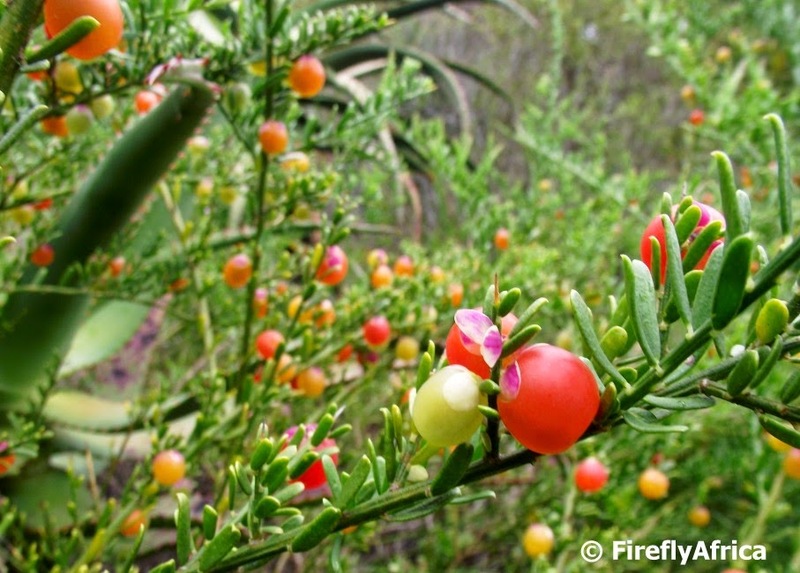 These berries presented themselves on a walk along the Maitland Trail in Port Elizabeth. Unfortunately I never took note of what the guide said they were. I was too busy trying to get a good photo. Its been a while since I've done a "Random ..." themed post, so here is one. On a trip up the old Zuurberg Pass from the Karoo side, I discovered an old kraal wall perfectly built without any cement. Put together like a puzzle. Another historic building. 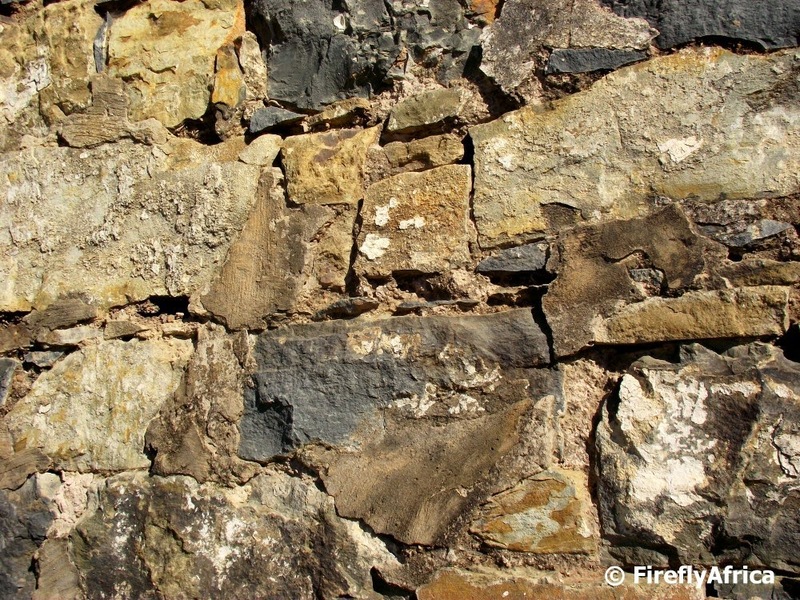 The wall of the stables at Fort Peddie between Grahamstown and King William's Town, dating back to about 1835. This time, unlike in the first picture, cement was used. Spending one night at Trennery's on the Wild Coast, I decided that I wanted to explore a bit. 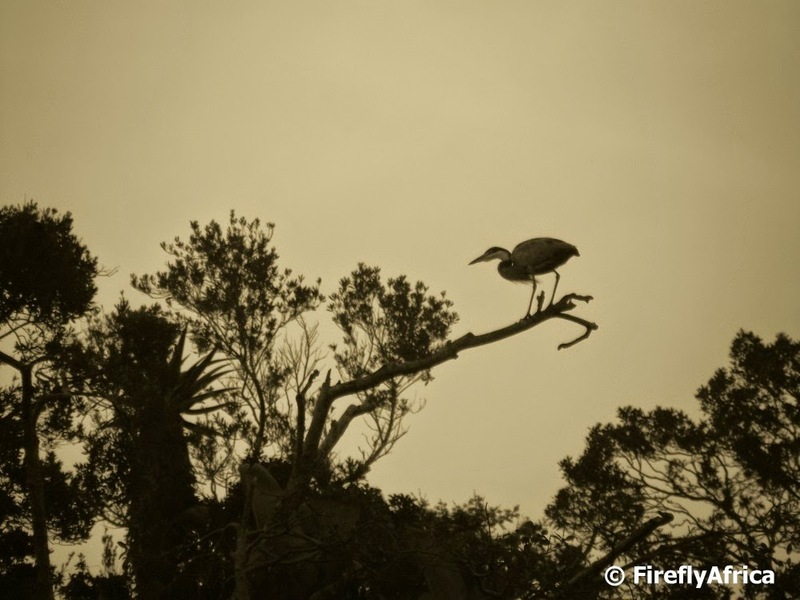 Upstream from the Qolora River Mouth is a spot called The Gates and it was here that I caught this heron sitting on a branch at dusk. 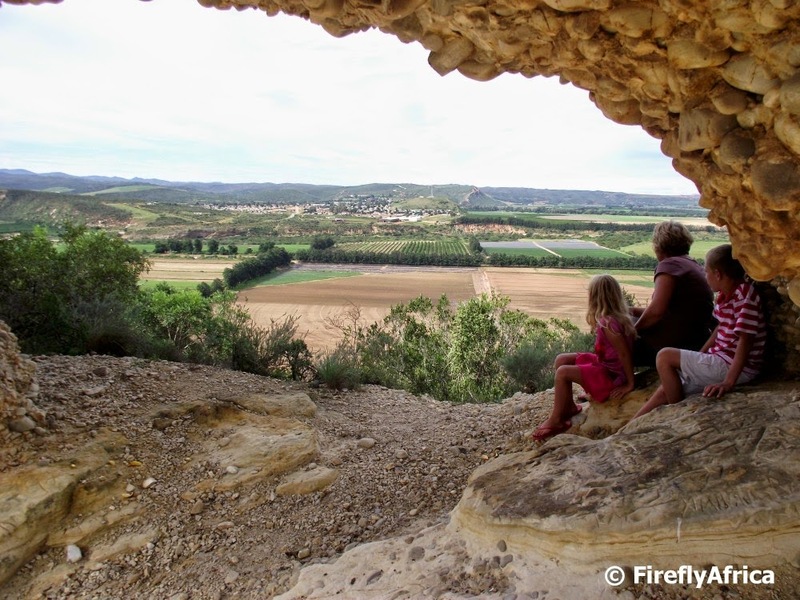 Hello, I am Firefly and I'm a travel blogger. It's been 6 years since my first blog post. I have an absolute passion for travel and tourism and that is why I work in the tourism industry. Not the other way around. But being passionate about travel doesn't mean that I only work in the field, I also play in the field. Having been a tourist guide and these days also an avid Geocacher, I like to be out and about and I try to take my family for holidays, weekends or just an afternoon out as much as I can. Because I enjoy taking photos on these outings I decided to find a way to share the beautiful area I live in with the world by starting a blog. The initial plan wasn't so much to make it a travel blog than to just share photos of things and places (hence the name of this blog), but it evolved towards it very quickly. Writing a travel blog fast became more than just something I did for fun. 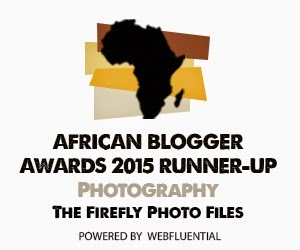 It became a way of life and up to today, my 6th blogoversary, I have done 1405 posts on The Firefly Photo Files and 1939 posts on Port Elizabeth Daily Photo. Jip I agree, for somebody who doesn't know me it may seem like I have some kind of problem and yes, over the years I have endured many dirty looks from the Damselfly while sitting in bed with the laptop and uploading / editing / writing / researching / or whatever else fits in after the last forward slash. Right from the start I decided to keep my blogs as informal as possible as I have no journalism training and as an Afrikaans boytjie often get words and tenses wrong. All my posts contains photos and I prefer to use my own as far as possible. I mix up the posts between generic (general information and history) articles and experiences I've had either travelling on my own or with the family - the family being the Damselfly, Chaos Boy (12) and Drama Princess (9). The other thing I decided on at some stage was to keep the posts fairly short. I've seem to develop ADD here in my middle age and I just can't read long blog posts without loosing interest so I decided to accommodate others like me and not bore them to death (unlike today). Blogging continuously like this does have it ups and downs though. Firstly time is always an issue when trying to fit blogging in between work, family time and some personal time. Then there is the fact that one tends to run out of photos and material every now and then, specially if I've been very busy at work and unable to get out to get pics. The third issue is followers and comments. Posting to Facebook and Twitter means that the blog potentially reaches more people but often I get very despondent when I don't get comments on the posts. Is it worth blogging when nobody comments? But then I get an email from somebody I don't know thanking me for my posts, get a FB comment doing the same or a face to face one from people I know who I never realized followed the blog. These lifts one's spirits immediately and shows that its worth all the effort. Looking at my blog stats though I shouldn't worry about comments as there is a steady stream of traffic through both my blogs. I have met some wonderful people in the travel blogging industry over the last year or two thee. Some who I am proud to call my friends and who are great inspirations for my own blog and social media presence. This also brings me to one of my biggest gripes. Knowing all these travel bloggers and following them on Facebook and Twitter I'm also a lot more conscious about what goes on around the country as far as travel blogging goes. I am the most prominent (I won't say top) travel blogger in the Eastern Cape (that's not counting travel journalists who also post online as they are journalists and not purely only bloggers) but the travel industry in the Eastern Cape doesn't quite seem to get bloggers. Bloggers are widely recognized in Cape Town and Johannesburg and they get treated as such. They get invited by tourism products to come and experience what is on offer and to write about it, new restaurants, product launches, sporting events, cultural events, online campaigns and so much more. Here in the Eastern Cape I can probably count on my one hand the invites I have had to go somewhere as a travel blogger (and not because I work in the tourism industry) and nationally its only been the Tourism Grading Council of South Africa who has hosted me on a travel blogging trip. I get really down when I see how Cape Town and Jozi bloggers get treated and hosted while I (mostly) pay my own way to visit somewhere to be able to write about it. Just a week or so ago a marketing organization in Port Elizabeth had a media lunch to thank local media (print and radio) for promoting the city and events taking place here on their various platforms. The fact that I post something about Port Elizabeth and its surrounds every single day seems to have gone unnoticed by them. But I'm not here to rant and moan. I'm trying really hard educate the tourism industry in the Eastern Cape about the value of bloggers and social media and hopefully at some stage people will start to get it. Maybe even SA Tourism will notice me at some stage and include me on some of their #MeetSouthAfrica or #ShotLeft trips. For now, I'm proud to say that I have kept biting the bullet and kept going as a travel blogger for the last six years and plan to keep going for many more. I hope there will be many new places to visit, things to see and experiences to, well, experience along with revisits to many of the places I've been to before. I finally got to visit Port St Johns on the northern Wild Coast. It wasn't a case of not wanting to do it before but rather one of never being in the area. 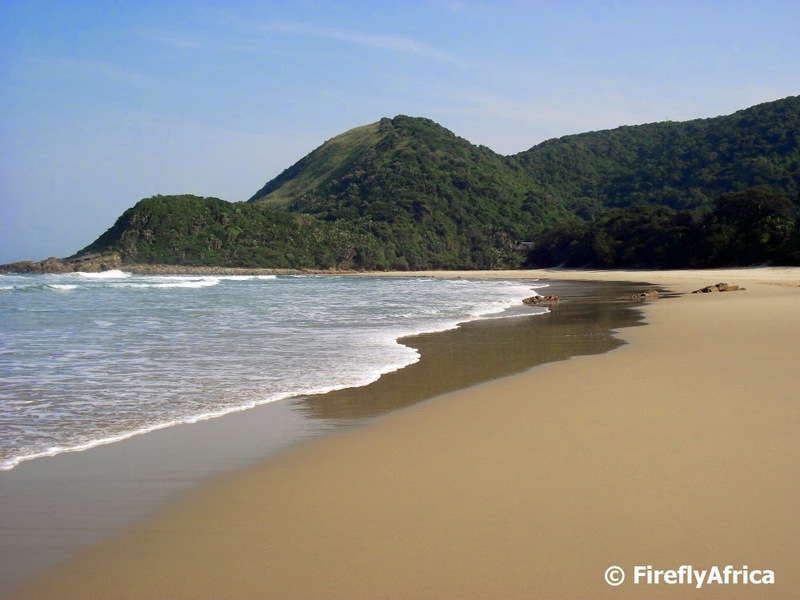 My visit was very brief though as we were on our way to Durban and still had a few stops to make so my Port St Johns experience consisted of stops at the mouth of the Umzimvubu River and Second Beach. It was impossible to get the whole river mouth into one picture so I went panoramic and this is what the outcome was. 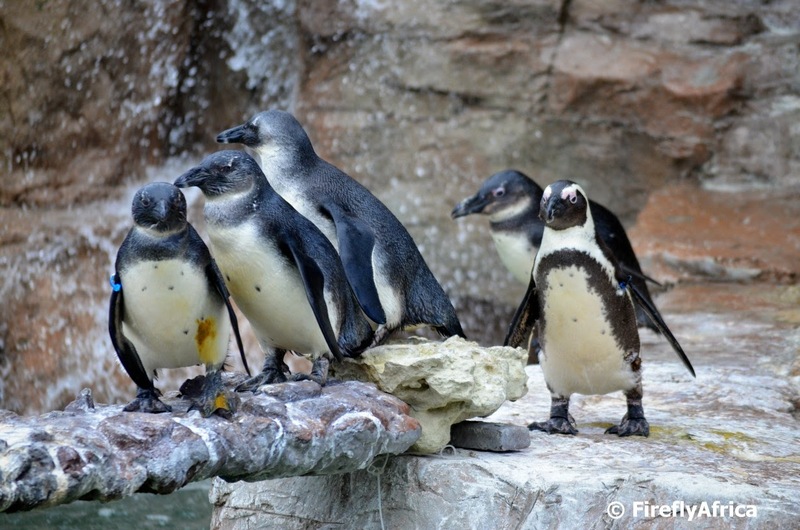 A couple of young penguins being ushered along the "diving board" by an adult at the South African Marine Rehabilitation and Education Centre (SAMREC) in Cape Recife in Port Elizabeth. 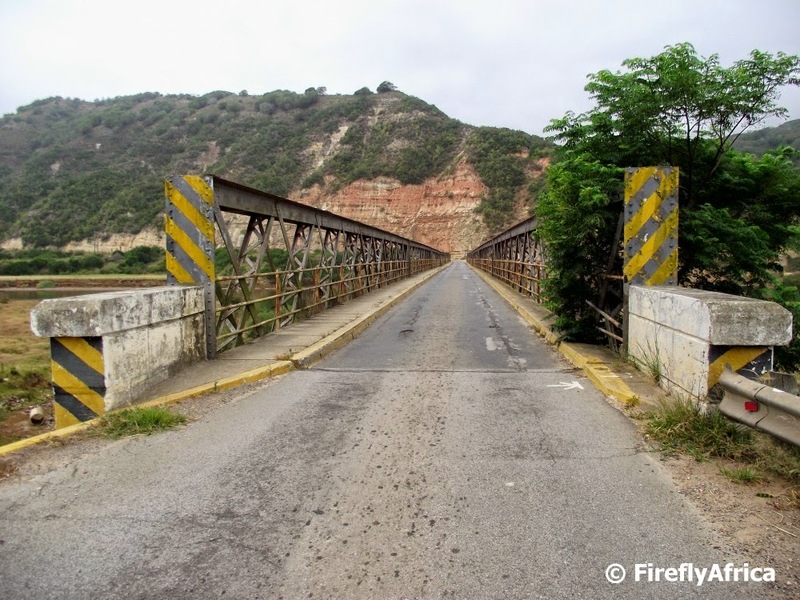 When the first Dutch farmers arrived in the Kouga and Gamtoos region they had to travel upstream some distance to cross over the Gamtoos River. 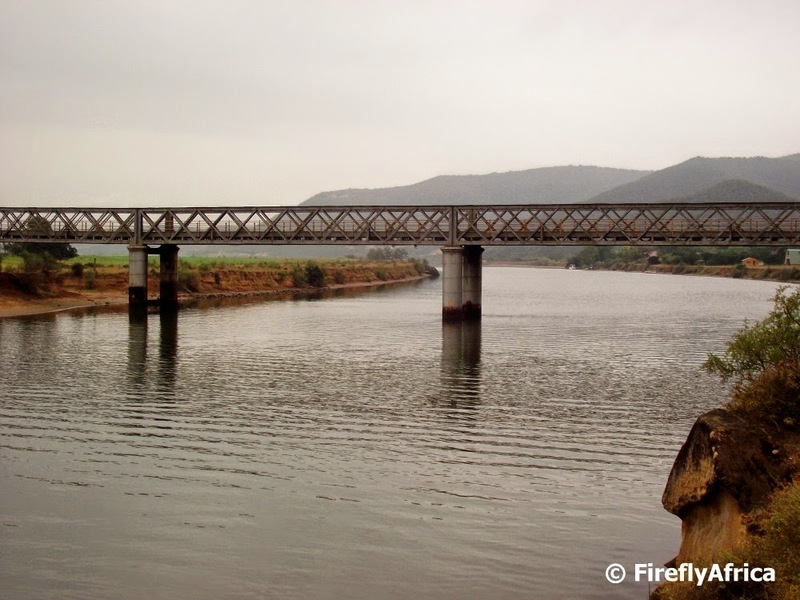 In the mid 1800's a pontoon was used to convey traffic across the Gamtoos River. The ferry was close to the Gamtoos River Hotel, and was owned by the late Mr. G. D. Smith, of Nocton Farm. The problem was that this very primitive method of crossing a broad tidal river was frequently a source of much annoyance and delay, owing to freshets, and it often happened that carts and wagons were delayed on either side of the river for several days owing to the inability to cross. As the country districts became more thickly populated the volume of trade on this, the main road connecting the Eastern Province with the west, increased, the need to find a way to bridge the river increased. All our local members of Parliament advocated such a bridge, with the exception of Major-General Nixon, who wished to see a causeway erected, so that, in his opinion, it could be used as a roadway as well as a means of damming the river and so irrigating the immense flat on the western side. General Nixon's idea, however, did not meet with much support, and ultimately the present (old) bridge was decided on. 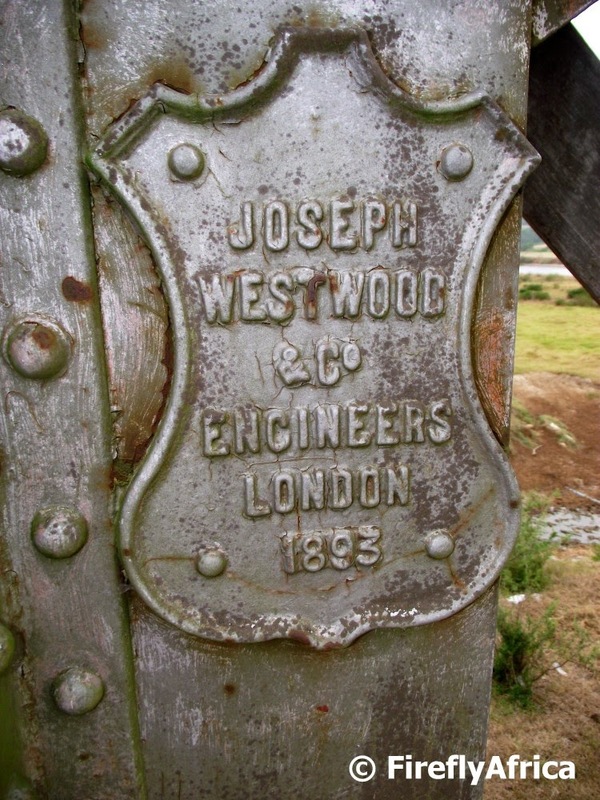 It took several years to plan and build the bridge owing to the unfavourable conditions of the bed of the river for solid foundations, but was eventually completed and opened on the 3rd December, 1895. The " christening" ceremony was performed by Mrs. Garcia, the wife of the Civil Commissioner of Uitenhage. who was accompanied by Mrs. C. W. Andrews, wife of the Humansdorp Magistrate. The originally estimated cost of the bridge was £20,000, but this sum was considerably exceeded on account of the delay caused by the difficulty of finding suitable foundations. It is a cylinder bridge of six 100-feet spans, and is therefore 600 feet long, with 16 feet between the abutments. The approaches to the bridge on either side cost £6ooo to construct. A little while ago I stopped at the bridge for the first time and took a walk across. Yes, yes, I had an ulterior motive as there is a Geocache located somewhere on the bridge. But I did take my camera with and snapped a couple of pictures. Information courtesy of "Uitenhage - Past and Present" Centenery 1804-1904"
A sunny blue sky day. So typical of South Africa, specially in summer. A grumbling tummy made me pull over at a farm stall at Buffeljagsrivier near Swellendam to look for a pie and something to drink. Behind the farm stall was a big piece of grass with this farm dam and it is where I snapped this picture. 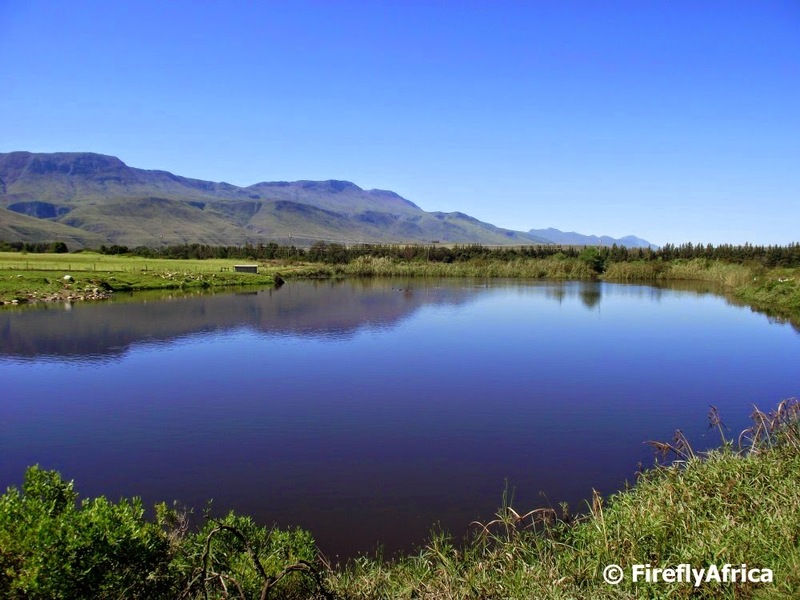 Green surroundings with a beautiful blue reflection and mountains in the background. Makes one want to spend more time, but the road was calling.